Organized by Charles Bluestone, the Art 360° exhibition features a survey of some of the best contemporary artists in our state. 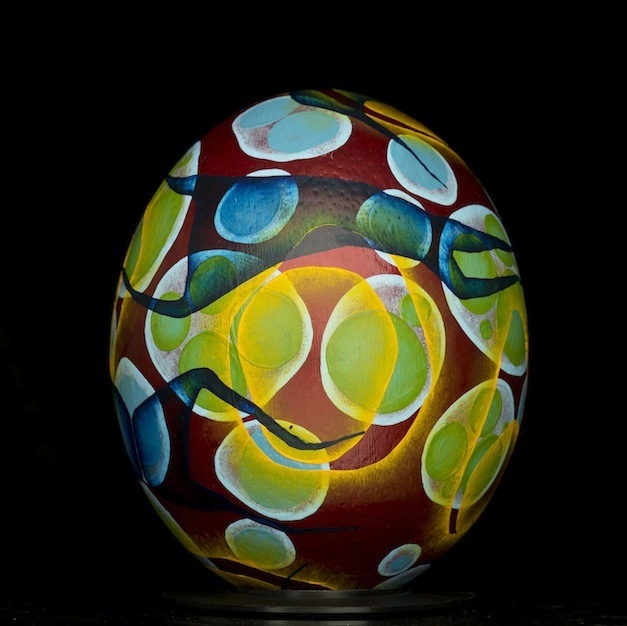 Each artist transformed an ostrich egg into a work of great beauty that references art history such as the Imperial Easter eggs crafted by Peter Carl Fabregé or beeswax-decorated Ukrainian pysanky eggs. For more information on the project please visit arthatchingacrossohio.com.